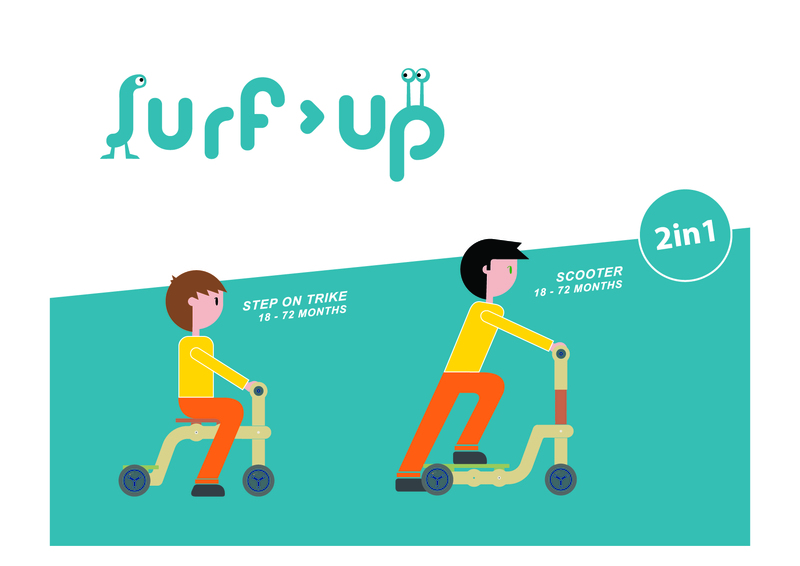 SURF UP is aimed at accompanying babies from 18 months till the age of six. 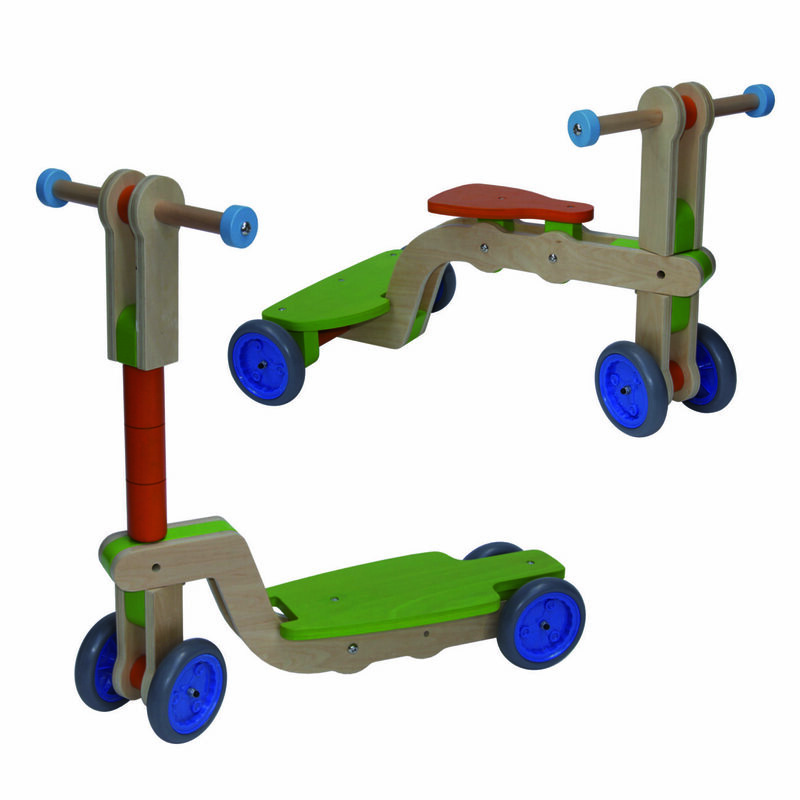 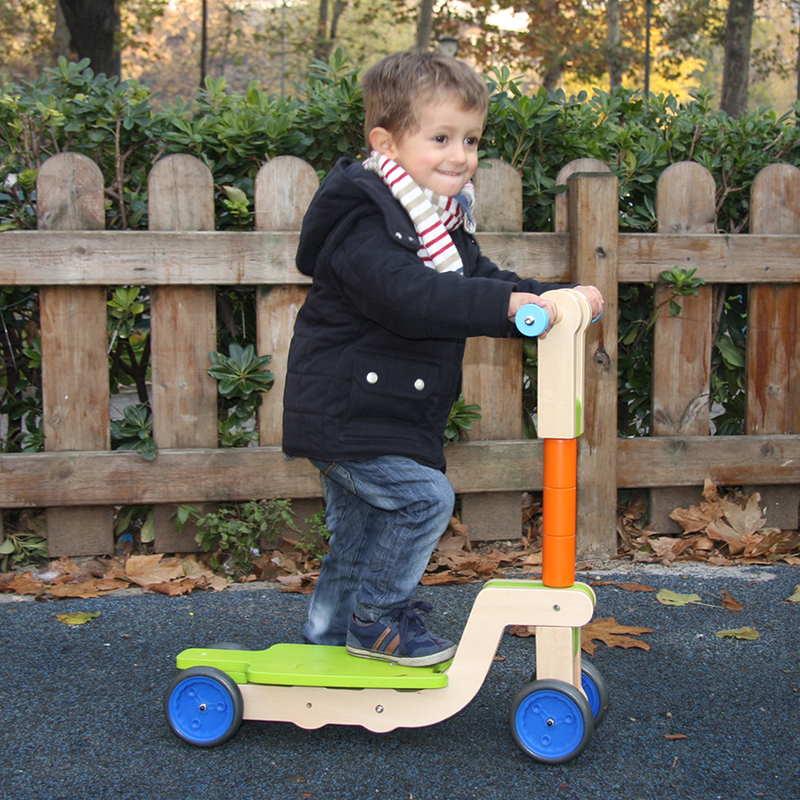 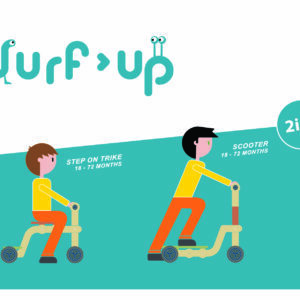 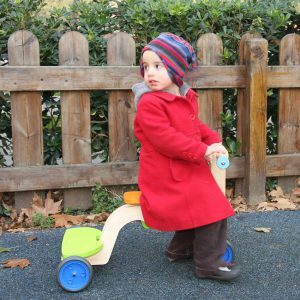 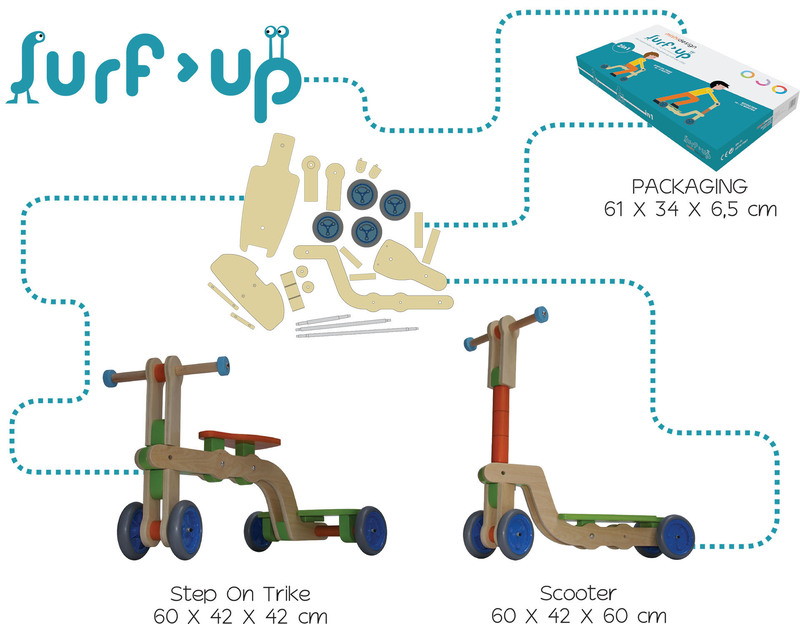 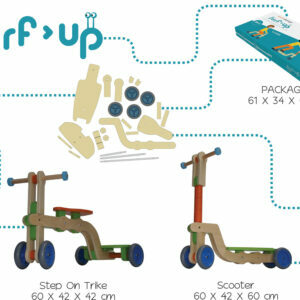 SURF UP is a step on trike that can be transformed into scooter allowing a great indoor and outdoor versatility whilst challenging cardiovascular and muscular development. Plywood, solid wood, ABS and metal parts.